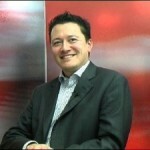 Claudio Toyama is an International Leadership Consultant specializing in building sustainable peak performance cultures. An entrepreneur for more than 10 years, Claudio spearheaded the launch of successful consulting companies in the UK and US. He has delivered projects in 113 countries, has travelled to over 40 of them and has lived in 5 different countries on four continents. His specialty is helping companies fulfill their potential through leadership development, employee engagement and customer experience. Claudio’s ability to create paradigm shifts in corporate culture results in more thoughtful leadership, a staff of brand ambassadors and customers who feel the difference and embrace it. He also served as a Division E Governor for Toastmasters International, District 18 (Maryland) and is an engaged Rotarian. He is a also new dad and enjoying every minute of it! Claudio Toyama knows hardship all too well. In our conversation, he recalls the time when he lived in London, was deep in debt, and didn’t have enough money to pay the rent. “Because a friend believed in me, I was able to get out of my predicament and move the ball down the field,” he says. His story reminds us that tough times don’t last, but tough people do! Connect with Claudio Toyama on LinkedIn — let him know you heard his conversation on PYP!